Earlier in the year a woman came to see me at my Reiki Treatment Room in South London, suffering from anxiety and stress. This anxiety was manifesting itself in her chest area causing her to have frequent panic attacks. Reiki treatment seems to be extremely helpful in times of stress and, at the end of session, one feels incredibly relaxed and peaceful. Most people I treat tend to fall asleep during the treatment session, which I encourage them to do rather than fighting it. 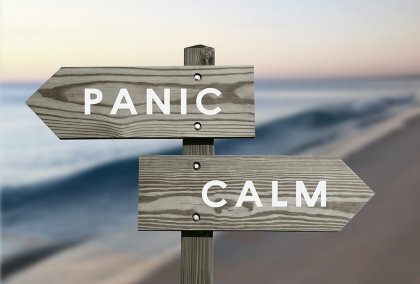 This particular woman really wanted to be able to calm herself down in the hope that, by achieving this, the panic attacks and anxiety would lessen or even disappear. Following the first Reiki session she said she felt noticeably calmer and had felt her chest area literally lighten. However, the third session then triggered a massive panic attack that same evening, which she was naturally unnerved by. This can sometimes happen after the third Reiki session because the body has become used to the energy and opens up even more creating more of a release. This can sometimes be known as a healing crisis, giving off different types of symptoms. I’m delighted to say that since that massive panic attack she has had no more, and she even told me of a time recently when she was on a crowded tube in the rush hour. Previously she would have worked herself up resulting in a panic attack, but to her surprise and delight she remained calm throughout. This is a great example of how Reiki can help with stress and anxiety however it manifests.